I’m sure all you fans populating the New York Comic Con have totally started spazzing out after hearing getting so much BTS, sneak peaks and previews. Well, this release has been a long time coming, if you were paying attention at the San Diego Comic Con. 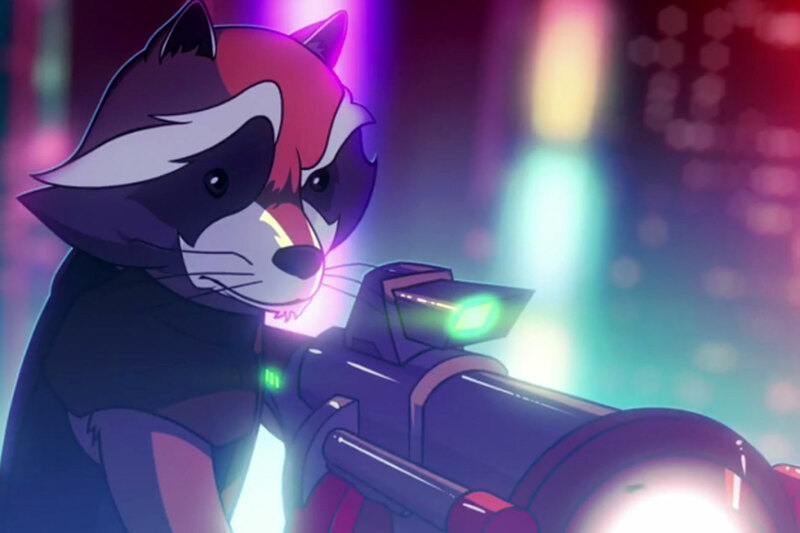 Marvel have finally backed up their talks with a teaser for Guardians of the Galaxy animated series. Stylised, neon, Japan-skyline, Blade Runner-y visuals look great, especially for an animation that will air on Disney XD. The animated series has no set release yet, but production is underway. But you gotta love that Rocket and his fetish for big artillery.